Are any of you Newport News fans? Well, if so, they are having a grand opening today for their online Plus Boutique. Now, I have a love hate relationship with Newport News because sometimes they do have some cute pieces and most times, well, their clothes look fugly and the material becomes questionable. I will say, that they actually stepped things up a notch by adding the ShapeFX collection, which offers built in support as well as a more modern collection of pieces. After a quick review of the online boutique, very little stood out. What I disliked the most was the fact that they used non plus size models for majority of the clothes on the site. If you are going to sell plus size clothing then atleast use plus size models so we can have some idea of what things will look like on a curvier body. 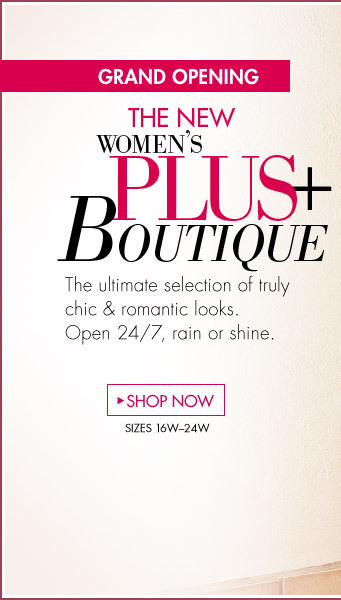 They also need to rethink their tag line, “The ultimate selection of truly chic and romantic looks.” I think not! Nonetheless, I did find a cute lace jacket and this polka dot swimsuit that wasn’t a total fail.